Paco Díaz (Palma de Mallorca, Spain) on 27 February 2011 in Plant & Nature. A beautiful image of this decorative and unusual tree trunk. Lovely color and clarity. Menuda filigrana, no se exactamente por qué he pensado en un buen emmenthal... hahaha. Paco, yo ya pondré el vino. Saludos. Vaya joya de madera viviente!!!! Yo no he pensado más que en una joya modernista, tampoco sé porque.... Como Manel, la imaginación nos puede!!! Felicidades per la "troballa"
A nice surprise of Mother Nature.....Love it !!! what a super find, Paco . Beautiful light and DOF . Extraordinaire...la force de la nature. Curioso tronco, y parece que esta vivo, verdad? La fotografia tiene una luz y una nitidez perfecta. You 'nailed' the lighting on this one, Francisco. The detail on the trunk is amazing! What an interesting old tree. Superb shot! 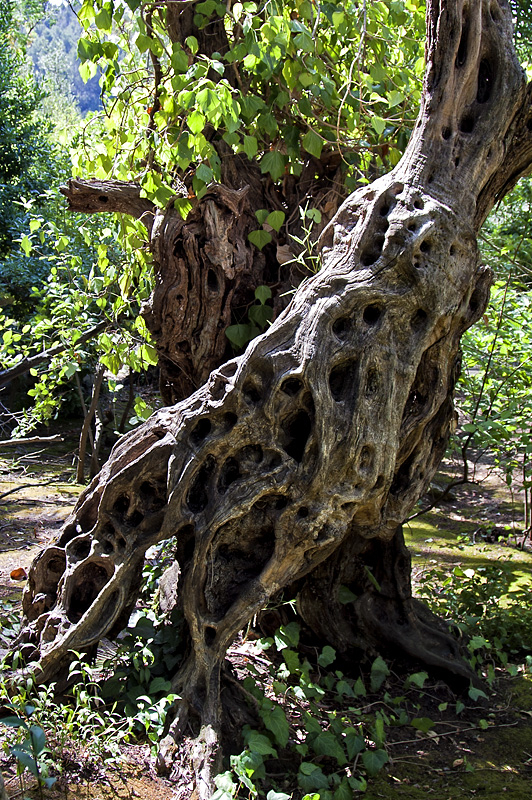 wonderful picture of this old olive tree trunk! they are so handsome and offer ideal photo opportunities! great light management here! Magnifico! la luz es perfectaa!